Quality is our trademark, we take pride in our work. We fabricate and install all jobs with your specifications. No sub contractors, so we are with you from beginning to end. We are the fabricator, eliminating the retailer, so we can pass the savings on to you. Our goal is to bring you the best quality, price and fastest turnaround time possible. We can do your project in about one week what others promise to do in six. 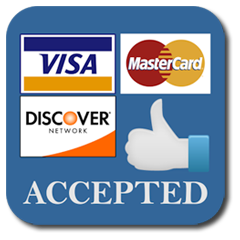 We are an Accredited Business with the Denver/Boulder BBB, have references, and are insured and bonded. Monday- Friday 9:00a.m. to 6:00p.m. Saturday 9:00a.m. to 4:00 p.m. Copyright Take Me for Granite | All Rights Reserved | Sitemap | Website by Achieve Web Design, Inc.